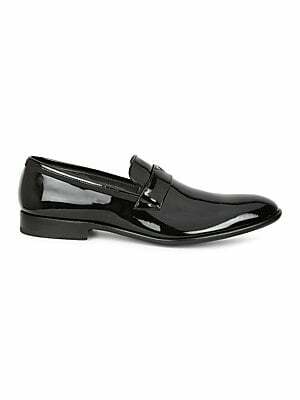 Add some dapper shine to any evening outfit with these expertly designed patent leather loafers Patent leather upper Slip-on style Leather lining and sole Made in Italy. Men's Shoes - Mens Classic Footwear. Bruno Magli. Color: Black Pate. Size: 10.5. Burnished calf updates sharp penny loafers Leather upper Slip-on style Almond toe Leather lining Padded insole Rubber sole Made in Italy. Men's Shoes - Mens Classic Footwear. Bruno Magli. Color: Black. Size: 41 (8). Burnished calf updates sharp penny loafers Leather upper Slip-on style Almond toe Leather lining Padded insole Rubber sole Made in Italy. Men's Shoes - Mens Classic Footwear. Bruno Magli. Color: Black. Size: 42.5 (9.5). Burnished calf updates sharp penny loafers Leather upper Slip-on style Almond toe Leather lining Padded insole Rubber sole Made in Italy. 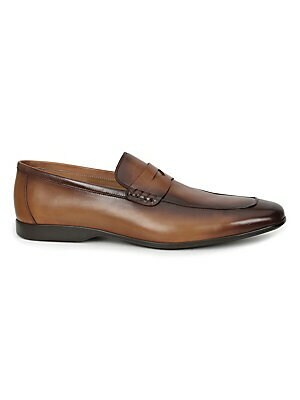 Men's Shoes - Mens Classic Footwear. Bruno Magli. Color: Cognac. Size: 41.5 (8.5). Burnished calf updates sharp penny loafers Leather upper Slip-on style Almond toe Leather lining Padded insole Rubber sole Made in Italy. Men's Shoes - Mens Classic Footwear. Bruno Magli. Color: Cognac. Size: 41 (8). Burnished calf updates sharp penny loafers Leather upper Slip-on style Almond toe Leather lining Padded insole Rubber sole Made in Italy. Men's Shoes - Mens Classic Footwear. Bruno Magli. Color: Cognac. Size: 42.5 (9.5). Burnished calf updates sharp penny loafers Leather upper Slip-on style Almond toe Leather lining Padded insole Rubber sole Made in Italy. Men's Shoes - Mens Classic Footwear. Bruno Magli. Color: Cognac. Size: 42 (9). Burnished calf updates sharp penny loafers Leather upper Slip-on style Almond toe Leather lining Padded insole Rubber sole Made in Italy. Men's Shoes - Mens Classic Footwear. Bruno Magli. Color: Cognac. Size: 43.5 (10.5). Burnished calf updates sharp penny loafers Leather upper Slip-on style Almond toe Leather lining Padded insole Rubber sole Made in Italy. Men's Shoes - Mens Classic Footwear. Bruno Magli. Color: Cognac. Size: 43 (10). Burnished calf updates sharp penny loafers Leather upper Slip-on style Almond toe Leather lining Padded insole Rubber sole Made in Italy. Men's Shoes - Mens Classic Footwear. Bruno Magli. Color: Cognac. Size: 44.5 (11.5).